Through this Dear Colleague Letter (DCL), the Directorates for Engineering (ENG), Geosciences (GEO), and the Social, Behavioral and Economic Sciences (SBE) encourage the submission of proposals that address challenges related to Hurricane Florence, similar events that could occur in the coming weeks, and their aftermaths. With this DCL, the NSF ENG, GEO, and SBE directorates invite proposals to support time-sensitive research seeking to address the challenges related to Hurricane Florence and any other hurricanes that might occur in the United States prior to October 31, 2018. Rapid Response Research (RAPID) proposals may be submitted to conduct new research related to these hurricanes. Although NSF accepts RAPID proposals at any time, Hurricane Florence-related RAPID awards proposals must be submitted by 5:00 p.m. submitter’s local time on October 15, 2018. Submission Guidelines: The RAPID funding mechanism supports projects for which there is an urgent need for data, facilities, or specialized equipment that can be utilized for quick-response research about natural disasters. RAPID proposal project descriptions are expected to be brief. They may not exceed five pages. Requests may be up to $200,000 and up to one year in duration. Proposals submitted pursuant to this DCL must designate the proposal as being related to this DCL by including “2018 Hurricane Season:” at the beginning of the proposal title. 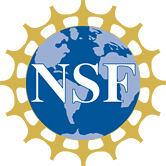 To submit a RAPID request, investigators must contact the ENG, GEO, or SBE Program Officer most closely related to the proposal topic before submitting to determine if the proposed activities meet NSF’s guidelines for these types of submissions or whether the proposed work is more suitable for submission as a regular research proposal. 2018 GRFP Fellowship Application Workshops – Deadline to Register Sep. 9! The National Science Foundation (NSF) Graduate Research Fellowship Program (GRFP) is presenting four fellowship application workshops – two live stream events, and two in-person review sessions. If you have students who want to apply for GRFP fellowships to fund Masters or PhD programs, please encourage them to participate in one of these workshops. The deadline to register has been extended to September 9, 2018. Do you have seniors who are interested in MS or PhD work? Fellowship Opportunity Here! Do you have seniors who are interested in MS or PhD work? The transition to graduate work is much easier with a fellowship in hand. Please encourage them to apply for Graduate Research Fellowships from NSF through the GRFP Program! The purpose of the NSF Graduate Research Fellowship Program (GRFP) is to help ensure the vitality and diversity of the scientific and engineering workforce of the United States. The program recognizes and supports outstanding graduate students who are pursuing research-based master’s and doctoral degrees in science, technology, engineering, and mathematics (STEM) or in STEM education. The GRFP provides three years of support for the graduate education of individuals who have demonstrated their potential for significant research achievements in STEM or STEM education. NSF especially encourages women, members of underrepresented minority groups, persons with disabilities, veterans, and undergraduate seniors to apply. Register in the FastLane GRFP system. Write down your log in name, password and the applicant number assigned to you. Send the applicant number to marklee@spelman.edu by September 1. Applications are due October 2018. Please visit https://www.nsfgrfp.org/ for more information!